The auteur theory has fallen somewhat out of fashion in the decades since the French critics introduced it and Andrew Sarris and Peter Bogdanovich popularized it in America, but anyone looking for evidence of its validity need look no further than the career of Burt Kennedy. Unfortunately, Kennedy validates the theory by providing a negative example – he proves that the director is the ultimate author by being a fairly pedestrian one. As a screenwriter, Kennedy was responsible for several of the greatest Westerns ever made when he wrote a series of films for director Budd Boetticher and star Randolph Scott in the late 1950s, among them The Tall T, Seven Men From Now, and Ride Lonesome. These pictures are all exemplary combinations of character study and action, films in which moral and philosophical questions are raised via clear, concise dramatic conflicts and colorful, often hilarious dialogue. That Kennedy is responsible for a great deal of these films’ genius is undeniable, especially since so many of their strengths pop up again and again in the later movies he would direct himself. Yet this is what makes Kennedy such a fascinating case study: his own Westerns contain virtually identical themes, issues, and often even the same bits of dialogue and business as the Boetticher pictures, yet they lay lifeless on the screen by comparison. Kennedy was a great writer, but he was only competent as a director; films he directed like Return of the Seven, Mail Order Bride, and The War Wagon have a professional use of the frame and are rarely boring, but neither are they particularly inspired or energetic. (Kennedy’s rousing John Wayne vehicle The Train Robbers is an exception.) Watching them if one is familiar with the Boetticher movies is a surreal experience that provides a rather unpleasant sense of déjà vu; situations and lines of dialogue that were funny or exciting in Ride Lonesome fall mysteriously flat in Return of the Seven, proving that there’s just something ineffable that movies need to be great – the vision and sensibility that a true director supplies. 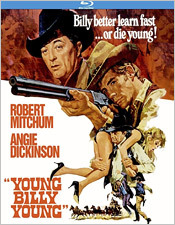 Kennedy’s 1969 Western Young Billy Young is a typical example, a mildly entertaining but unremarkable action-comedy that is neither as exciting nor as funny – nor as contemplative – as the Randolph Scott vehicles Kennedy is regurgitating. As in Ride Lonesome and Seven Men From Now, Young Billy Young provides a wry gunfighter with an existential world view who is out for revenge – this time it’s Robert Mitchum instead of Randolph Scott. Although Mitchum works for the law, he helps out a young fugitive named Billy Young (Robert Walker) when he realizes the boy’s murder of a sheriff was justified. The two men travel together to a corrupt town Mitchum has been hired to clean up, though his real agenda is to find the man who killed his son. While romancing a local woman (Angie Dickinson), Mitchum gets down to business and engages in a sort of dramatized chess game with the men responsible for his son’s death; he and the bad guys make a number of moves against each other until the inevitable final confrontation. This is all pretty typical Western stuff, and certainly typical of Kennedy. It makes for a passable afternoon’s viewing, mostly thanks to the cast; Mitchum is as amusingly laconic as ever, and reliable personalities like David Carradine and Jack Kelly fill out the supporting cast. Again though, if you’ve seen Ride Lonesome the whole thing feels like a poor man’s imitation. What was haunting in that film is lethargic here, and the same exact jokes (no one in film history loved to recycle himself as much as Kennedy, with the possible exception of Howard Hawks) have no wit or life. It's truly bizarre. If you can leave the comparisons aside, however, Mitchum’s performance is probably enough to make the film worth a look, particularly for genre completists. Kino Lorber’s new Blu-ray provides a fine way to discover the picture, with a clean, crisp transfer that makes up for the murky editions of the film that were previously available on home video and television. The detail in the night exteriors is particularly impressive, with sharp contrast, vivid colors and a minimum of noise. The stereo mix is equally consistent, clear and balanced. 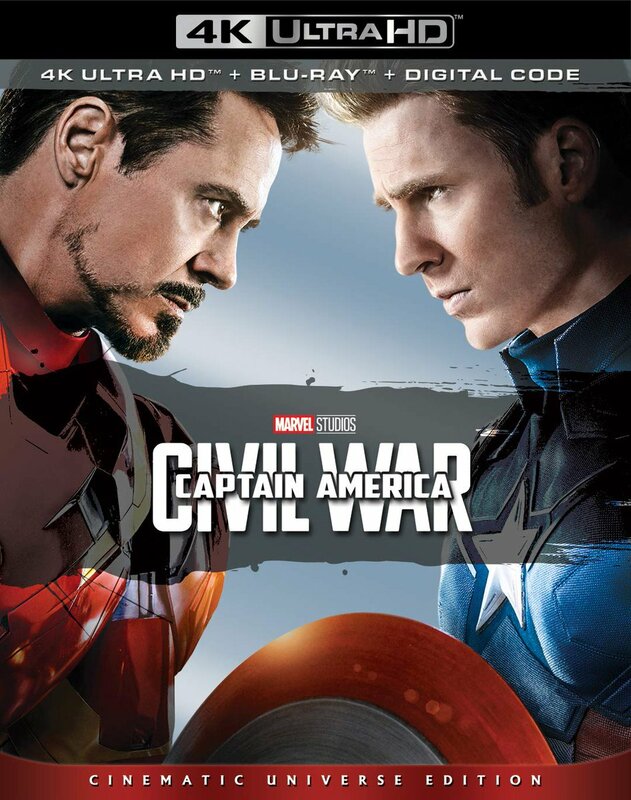 There are no extras on the disc.